When I was a kid we played “follow the leader”, at that time it was a fun game, wherever the leader went, we went. Where the leader turned, we turned. Why? It was a game, it was fun and we had blind faith that the leader would not lead us into unnecessary danger. Great game for kids, but not so great in our adult lives, businesses, or Grange. Someone said to me recently, don’t remember who or where it came from, “Do you want to lead followers, or lead leaders?” GREAT question! What kind of a leader are you? Are you a leader? Do you want to be a leader? Do you know you are a leader? 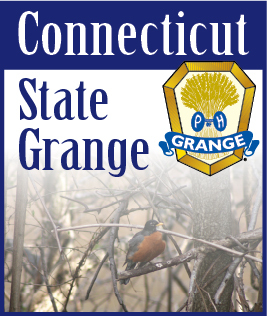 As President of this State Grange I want to lead leaders. Our State, Pomona and Community Granges must foster an environment that enables all members to be part of the positive transformation of their Grange at all levels. We MUST encourage ideas from all members and encourage them to execute those ideas. It is most important we celebrate with them the successes and overcome the failures. A leader continually learns better ways to improve themselves, their team members, and their organization. A true leader shares this knowledge and experience with everyone so they can learn, grow and develop their own leadership abilities. Our future is dependent upon not only developing and growing future leaders, but to also continue to develop and grow our current leaders. Not all leaders are going to “hit a homerun.” Every leader will stub their toe, every leader will suffer setbacks, every leader; from time to time will be discouraged. It is how we overcome these challenges and turn them into opportunities that will build a stronger Grange for all.